In an independent review of XRP conducted by Lennard Neo Picolo Research recently, the whole journey of the cryptocurrency across the third quarter was mentioned. 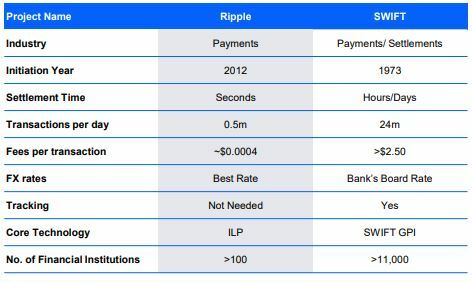 Here, the report also included competitor analysis for Ripple the company and conveyed the risk factors associated with the business. The research divided the competitors of Ripple into two sectors: blockchain and traditional. SWIFT and PayPal are the two big services that are speculated to be sidelined by Ripple’s disruptive technological approach in the payment industry. Furthermore, the report also included that the blockchain firm is going to take over the major industry players by making money settlements faster and cheaper. Within the blockchain industry, the report identified OmiseGO and Stellar as the two players that are emerging as competitors to Ripple. Lastly, $1.75 was also presented as the ‘buy rating’ for XRP, which is considered to be around 289% upside potential for the cryptocurrency. The report also made the speculation that XRP will continue to be one of the top-three cryptocurrencies in the market while gaining success in the global financial industry.